Linda Jeffrey took over a real mess when she was elected mayor of Brampton back in 2014. She hasn’t solved all the problems, but she’s made enough progress to have earned another four years from voters when they go to the polls on Monday. Jeffrey brought in outside auditors to help clean up Brampton’s finances after years of reckless spending and mismanagement under former mayor Susan Fennell. 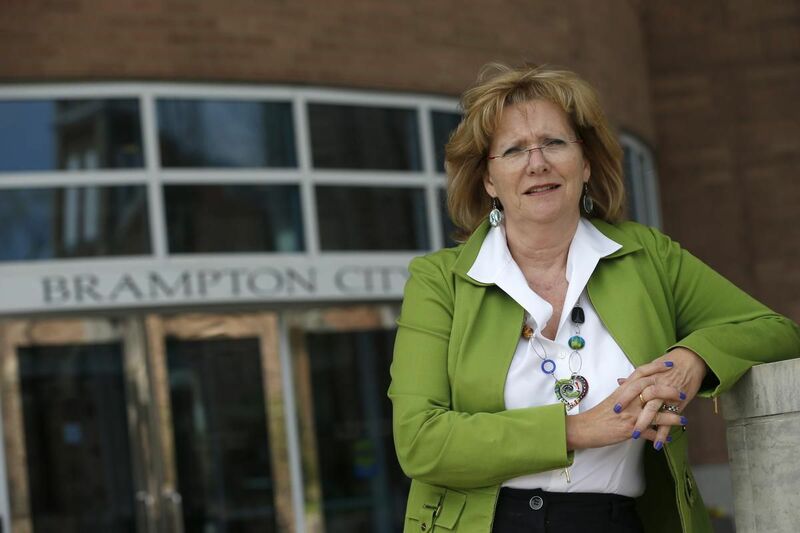 She trimmed senior staff, cut her own salary and raised the city’s credit rating. Beyond that, she’s pushed to make city hall and Peel police more reflective of the area’s population, which is more than 70 per cent visible minorities. All this is positive and long-overdue. But there’s lots more to do. Brampton is one of the fastest-growing cities in the country and has the problems associated with growth: traffic congestion keeps getting worse, crime has risen to worrisome levels, and infrastructure isn’t keeping up with the booming population. Jeffrey has had setbacks as well. She hasn’t managed to get the city’s perpetually squabbling city council working well together. And she suffered a big defeat in 2015 when council rejected a proposed light-rail line through downtown, which would have been paid for by the province. Jeffrey is being challenged by several candidates, including veteran city council John Sprovieri. But her main rival is Patrick Brown, who was pushed out as leader of the Ontario Progressive Conservatives in January and has been looking for a place to land ever since. Brown was planning to run to be chair of Peel Region, but when the Ford government abruptly cancelled that election he switched to the Brampton mayoral race. This smacks of simple opportunism; voters have to ask themselves whether Brown’s bid is about them or just his desire to make a political comeback — somewhere. Brown’s odd status as an outcast from PC ranks puts another twist on this race. Jeffrey is being supported not only by her fellow Liberals, but by local New Democrats and even Conservatives determined to keep Brown out of the public eye. That may not be entirely fair to him, but it makes it a lot more likely that Jeffrey will be more effective at winning money and resources from the province to help her city keep up with the challenges of growth. She’s the best choice for Brampton voters on Monday.